The composition is all wrong. 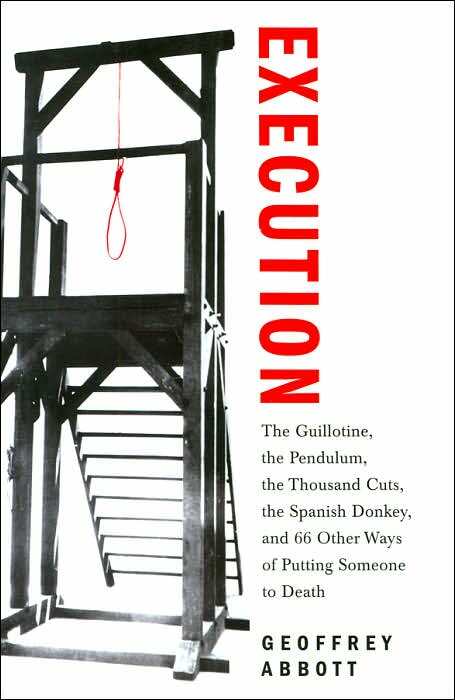 The steps of the gallow are in discord with the lengthy subtitle, the whole scaffold is leaning somewhat to the right, colliding with the title. The red noose is also wrong. This bookcover should have deserved a better ... well, execution. It feels very left-heavy to me. I keep wanting to move it to the right a little. It might be interesting to see the cover with just the noose (much larger in size) and nothing else. Right now, it feels like a cluttered mess but maybe that was the designer's intention.